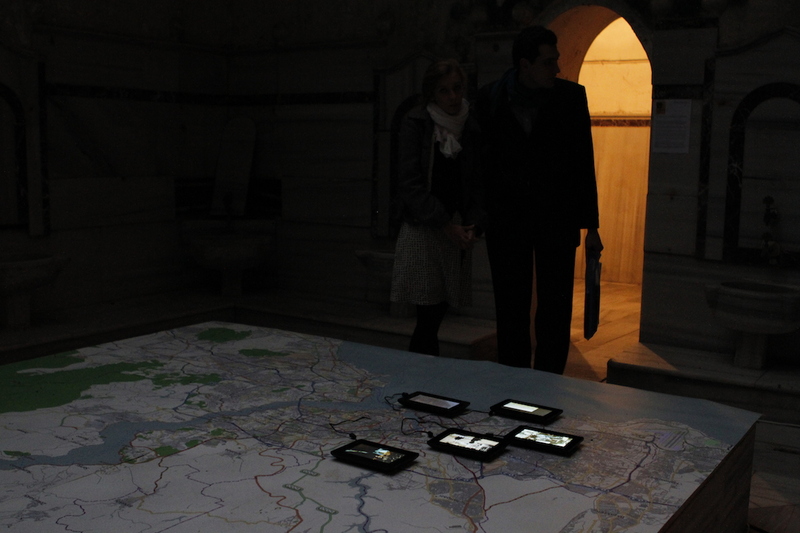 The videos produced during the “Mapping the commons of Istanbul” workshop were shown from 10/11/2012 – 18/11/2012 at Çukurcuma Hamamı in Beyoglu, Istanbul. The eight videos were displayed in 9 inches screens on the top of the printed open street map of Istanbul metropolitan area. 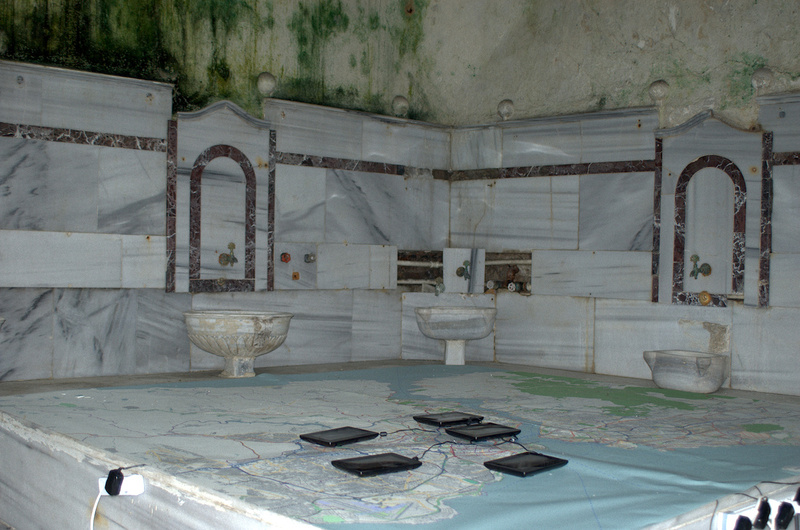 The videos produced during the “Mapping the commons of Istanbul” workshop were shown from 10/11/2012 – 18/11/2012 at Çukurcuma Hamamı in Beyoglu, Istanbul. The eight videos were displayed in 9 inches screens on the top of the printed open street map of Istanbul metropolitan area. 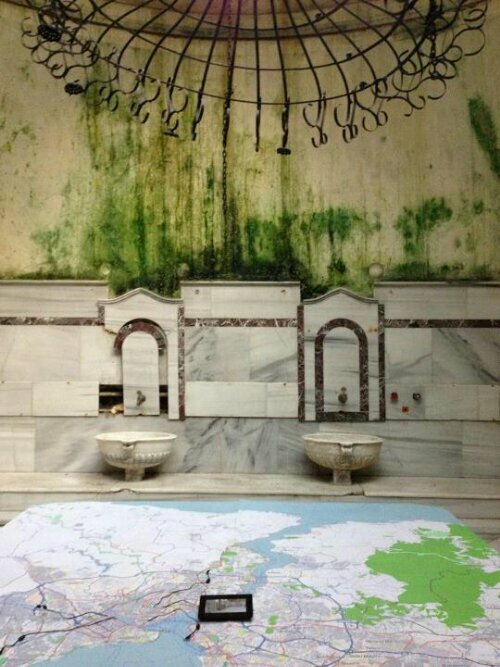 Exhibition in an abandonned Çukurcuma Hamamı in Beyoglu, Istanbul.